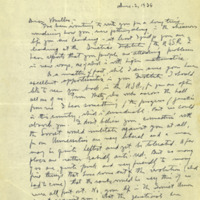 Letter from Julian Huxley to H.J. Muller. 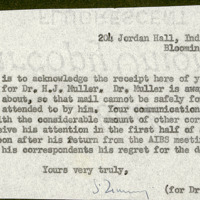 Typed letter with handwritten additions from Julian Huxley to H.J. Muller, 1940. 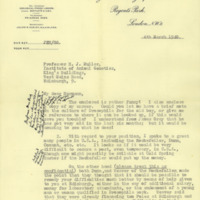 Typed letter with handwritten additions from Julian Huxley to H.J. Muller, 1940. 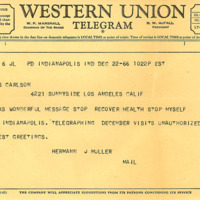 Letter from Carl Hartman to H.J. Muller. 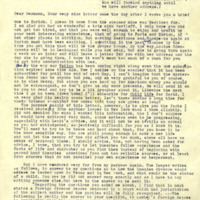 Handwritten letter from Carl Hartman to H.J. Muller, 1936. 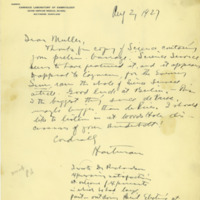 Handwritten letter from Carl Hartman to H.J. Muller, 1936. 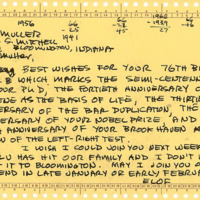 Handwritten letter from Carl Hartman to H.J. Muller, 1927. 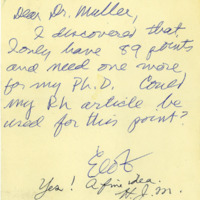 Handwritten letter from Carl Hartman to H.J. Muller, 1927. 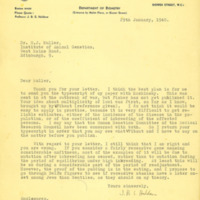 Letter from J.B.S. Haldane to H.J. Muller. 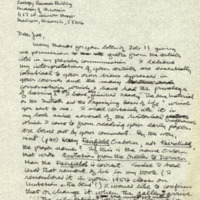 Typed letter from J.B.S. Haldane to H.J. Muller, 1940. Letter from Ada Muller Griesmaier to H.J. Muller. Typed letter from Ada Muller Griesmaier to H.J. Muller regarding a Russian divorce with handwritten additions by Georg Griesmaier, 1934.